Teaching Blog Round Up: Library Time! 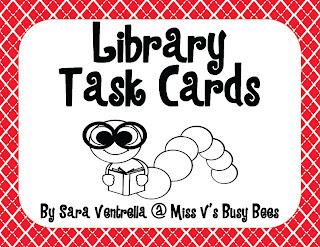 It's Sara from Miss V's Busy Bees again! So, if you know me... you know I am obsessed with books! Like, OBSESSED. On my iPad, I have the Kindle app, Nook app, iBooks app, and GoodReads app. I'm always on the lookout for new books - especially when I'm at the library, at a bookstore, on the internet, and anywhere else that talks about or promotes books! Being that it's summer, I wanted to start creating things for my (hopefully soon) future classroom that helped celebrate reading! 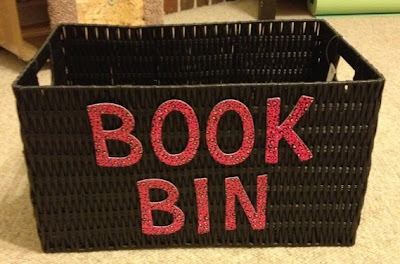 This past Monday, I created a book bin for my classroom on the Monday Made It linky series that is hosted by a fantastic blogger named Tara. Then, this past Tuesday, I made some library check out cards for the classroom OR the library on my new personal bloggy series. And now, I've come up with this idea to help not only you as a teacher, but the library teacher, too, spend some time in the library LEARNING and READING at the same time! Cool, huh? Oh yeah, I know it! Anyways... so what did I do? 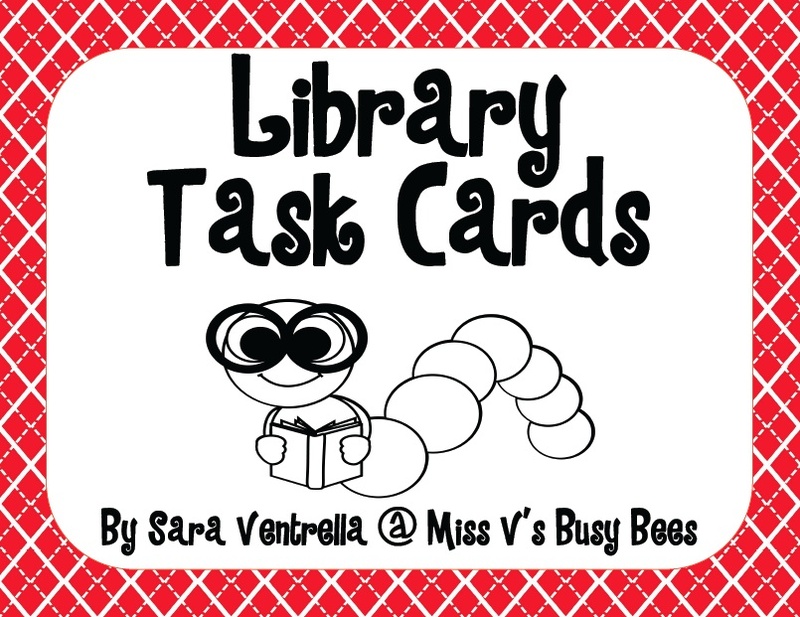 Well, I created a set of task cards for your kiddos to do while they are IN the library! Have you ever had those days in the library where your kiddos are just literally not doing anything but chatting? Not even reading? Or listening to you read to them? The only thing you need to supply your students with is paper OR the Scoot paper I have provided in the pack. They'll need to bring something to write with and of course, you'll need to print out the cards.. but that is IT! Otherwise, they'll just need their imagination and their legs! See ya next month here on Teaching Blog Roundup! PS. If y'all get bored, hop on over to my personal blog and enter my ONE YEAR BLOGIVERSARY giveaway! Yes, I've been blogging for ONE WHOLE YEAR. And it's time to celebrate! Your blog always impresses. 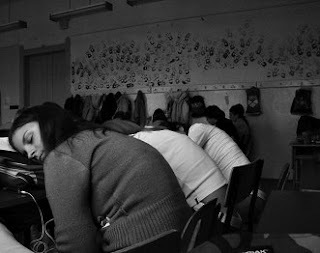 it is one of my must read blogs.